Your profile informations are updated! Your password is successfuly changed! Password should have at least 8 character in length. The confidentiality of your data is protected and secured by the WSpay Payment Gateway Security System for real-time credit card authorization. Online payment pages are secured using the Secure Socket Layer (SSL) protocol with 128-bit data encryption. SSL Encryption is a data encryption process to prevent unauthorized access when transmitted. This allows secure transfer of your data and prevents unauthorized access to data during communication between the user and the WSpay Payment Gateway system. WSpay Payment Gateway system and financial institution exchange information that is also protected against unauthorized access. Credit card numbers are not stored and are not available to unauthorized personnel. In order to protect our customers, we only collect the essential personal information which is basic customer information that is necessary to meet our obligations. We do not use data for marketing campaigns. All customer information is strictly kept and only available to employees who are required for that part of the job. All our employees and business partners are accountable for respecting the privacy policies. WSpay system uses the highest standards of privacy and privacy. All merchants using WSpay are included in 3D secure protection which ensures the customers that purchasing is secure. Customer credit card numbers are not kept on the system, and the data itself is protected by SSL encryption. WSpay system is constantly working on increasing security and validating it. From this year, it will be confirmed that it operates according to the highest standards that cardholder prescribes. The PCI Data Security Standard (PCI DSS) is a model that defines security measures for processing, saving and transferring (communicating) card data. PBZ Card Currency Conversion Statement (valid only for payments outside the Republic of Croatia): All payments will be made in Croatian Kuna. The amount to be charged is obtained through the conversion of prices in Euros into Croatian Kuna at the current exchange rate of the Croatian National Bank. When debiting your credit card, the same amount is converted to local currency at the rate of the card. As a result, there is a slight difference from the original price quoted on our website. The entry and transfer of personal data and credit card number data are protected by the 256-bit encryption SSL protocol provided by the WSpay system for online credit card authorization. Authorization and credit card payment is done by using WSpay for real-time authorization and billing. 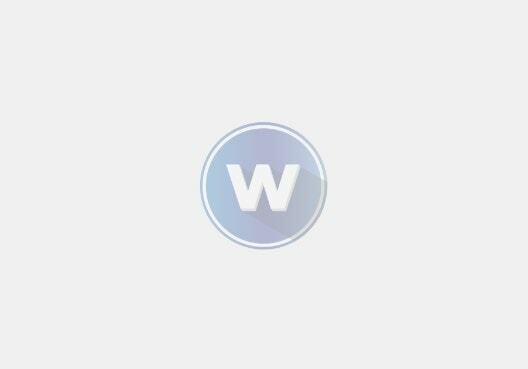 Worcon offers free and paid subscriptions. After registering for a paid Worcon subscription, you will be asked for payment information and you will need to pay by credit card as a payment method. The cost of using our sites and services may vary depending on the license you are purchasing. Make sure you understand the price and terms of payment when making a payment. If you are purchasing a monthly plan, keep in mind that your credit card will be automatically charged monthly without any additional notice. We reserve the right to raise monthly prices at any time; However, we will provide you with a notice of the increase in fees. Your information will be posted to our third-party payment processor, Wspay, for payment processing. You can cancel your account with us at any time that will stop new payment for service subscription. However, refunds are not approved for prepaid subscription payments to the service. If you cancel your subscription, you still have access to a premium subscription until the end of the paid period. When your paid period finishes, the premium account becomes inactive. American Express, MasterCard, Maestro, Visa, Diners. Worcon and its services can only be used by persons over the age of 18. By visiting www.wor-con.com you communicate electronically. By doing so, you agree that all agreements, notices, notices and other content submitted to you electronically comply with legal frameworks as if they were made in writing. In accordance with the Consumer Protection Act, we inform consumers that complaints about the quality of our services can be submitted in writing to: Work Connect d.o.o. Ulica Franje Galinca 21, Varaždin 42000, Croatia or with e-mail: info@work-connect.hr. The answer to your complaint will be provided in writing no later than 15 days from the date of receipt of the complaint. Questions about the Terms of Service should be sent to us at info @ work-connect.com or at Work Connect d.o.o. Street Franje Galinca 21, Varaždin 42000, Croatia. You can also contact us on weekdays from 7:00 to 23:00 (GMT + 1) by telephone. Work connect d.o.o. will endeavor to ensure the maximum accuracy of the information and data contained on this website but fully disclaims any liability for the accuracy and/or completeness of any information and content found on www.wor-con.com.